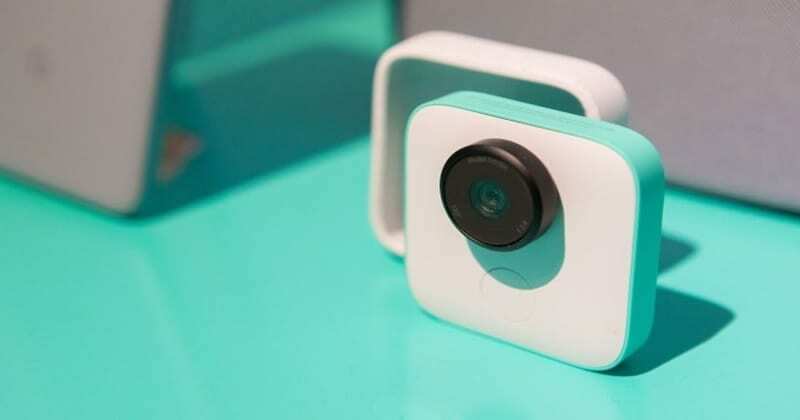 Google launched a new AI-powered camera called Clips which takes photos it finds interesting at the Made By Google Event along with Pixel 2, Pixel XL, Pixel Book, Google Home Mini and Home Max. Clips detect the faces of humans and even animals with machine learning. 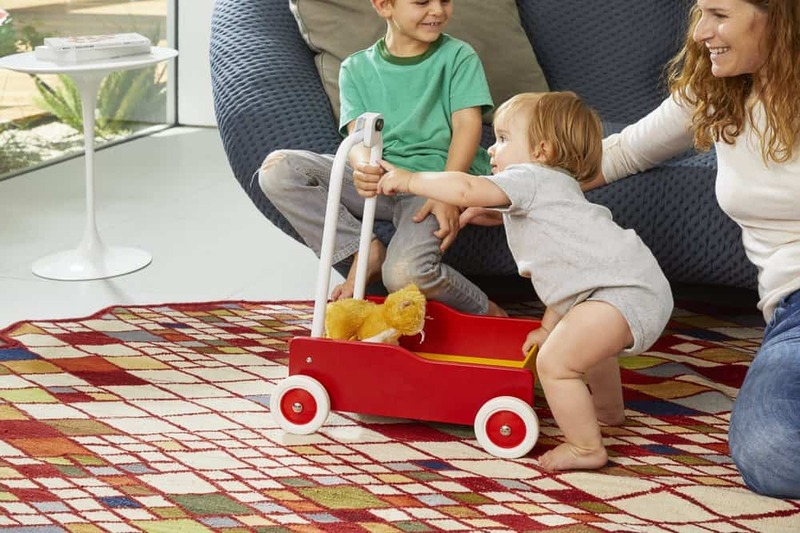 It isn’t a secret camera rather it is specially designed for parents so that they wouldn’t miss capturing moments with their camera-shy children or pets. Google Clips looks like a physical Instagram object. It has a camera lens popping out a little which can be twisted to turn it on. There’s a shutter button below the lens which can be tapped to take pictures manually that can also be operated with a companion app supported on the phone. There’s an LED light which blinks indicating that it is taking a photo. The device can be fixed anywhere with the clip behind it. After turning on the device place it anywhere in the room and then Clips sees everything and captures images that it finds interesting. It also takes motion images which Google calls as Clips. It also takes photos of most familiar faces and fewer photos of least familiar faces by learning the faces over time. It also takes photos of most familiar faces and fewer photos of least familiar faces by learning the faces over time with Artificial Intelligence. The device is also secure to use because it doesn’t store the photos on the cloud. The pictures can be synced wirelessly to a phone by opening the supporting app where you can save and delete images. 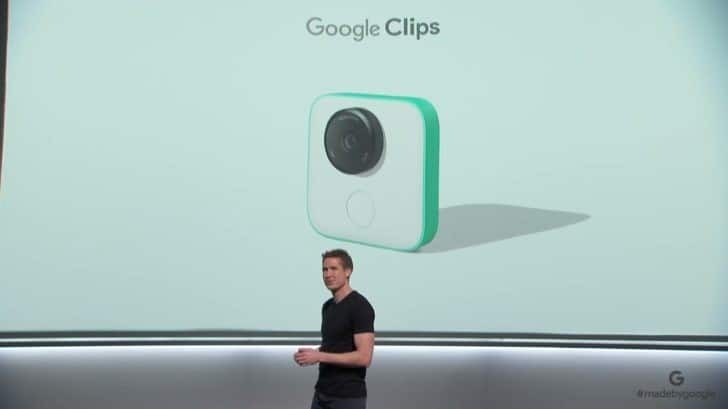 Google Clips is powered by a 12MP sensor below the 130-degree field of view lens, 16GB of internal storage and it is capable of taking a 15fps burst of images. This camera takes images that appear interesting to it. Clips consider faces and pets as interesting to take images. The battery life of the device is 3hours and it can increase or decrease depending on the interesting things that it finds. Clips get bored when it doesn’t find anything interesting. It also tries not to give same pictures by looking for changes over time. Google Clips is supported by Pixel phones, iPhone 6 and above, Samsung S7 and S8 phones. This camera will be available at a cost of $249. The release date of Clips isn’t revealed yet. It will be available in the market soon. What do you think of Goole Clips? Are you going to buy this AI-powered camera? Share your thoughts in the comments below!! !